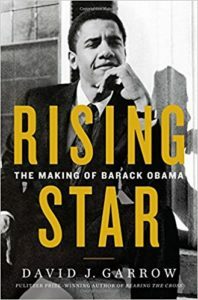 Rising Star: The Making of Barack Obama. New York: HarperCollins, 2017; HarperCollins paperback, 2018. Liberty and Sexuality: The Right to Privacy and the Making of Roe v. Wade. New York: Macmillan, 1994; Berkeley: University of California Press updated & expanded paperback, 1998. The FBI and Martin Luther King, Jr.: From “Solo” to Memphis. New York: W.W. Norton & Co., 1981; Penguin Books paperback, 1983. Protest at Selma: Martin Luther King, Jr., and the Voting Rights Act of 1965. New Haven: Yale University Press, 1978; Yale paperback, 1980.